“When you break out of the weekday 9 to 5 and into the great outdoors for a weekend of relaxation, you want tires on your truck that’ll take you almost anywhere you want to go and get you back…in style. 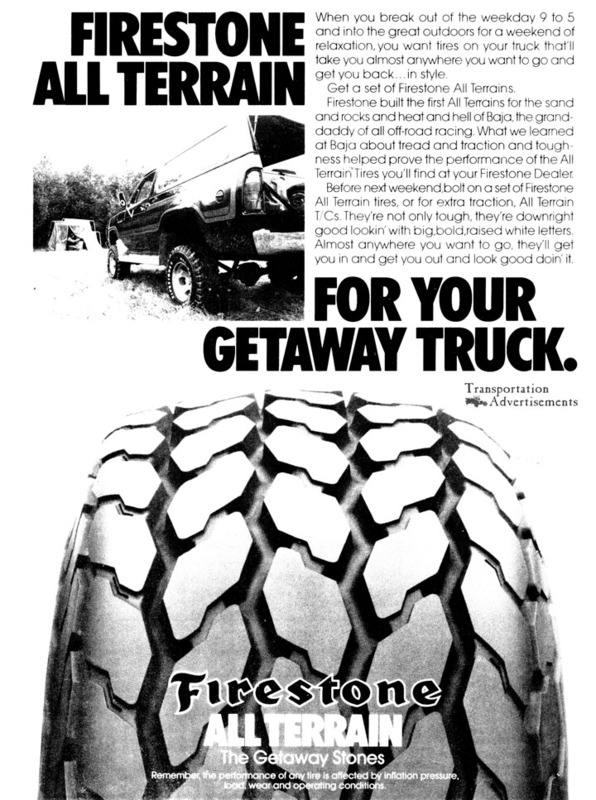 Get a set of Firestone All Terrains. Firestone built the first All Terrains for the sand and rocks and heat and hell of Baja, the grand-daddy of all off-road racing. What we learned at Baja about tread and traction and toughness helped prove the performance of the All Terrain Tires you’ll find at your Firestone Dealer.